الخيار الأفضل للحصول على المتعة والاسترخاء, فندق باي فيلدج تروبيكال ريتريت يقع في منطقة كارينس سيتى سنتر في كيرنز. يسهل الوصول إلى هذا الفندق ذو 4 نجوم من المطار، فهو يبعد عنه مسافة 7.0 km فقط. كما يمكن الوصول بسهولة إلى Cairns Tennis Centre, مستشفى قاعدة كيرنز, مسرح كيرنز المدني. كما يقدم فندق باي فيلدج تروبيكال ريتريت الكثير من الخدمات لإغناء رحلتك في كيرنز. يمكن للنزلاء الاستمتاع بالميزات التالية: واي فاي مجاني في جميع الغرف, مكتب الاستقبال على مدار الساعة, مرافق مخصصة لذوي الاحتياجات الخاصة, تخزين الأمتعة, واي فاي في المناطق العامة أثناء إقامتهم في هذا المكان الرائع. تعكس غرف الفندق البالغ عددها 90 المنتشرة في 2 طوابق جواً من الدفء والألفة.خدمات عصرية مثل تلفزيون بشاشة مسطحة, غرفة معيشة منفصلة, اتصال لاسلكي بالإنترنت, غرف لغير المدخنين, مكيف هواء موجودة في بعض الغرف المختارة. يقدم الفندق العديد من الفرص للاستجمام كمثل مسار جولف - ضمن 3 كم, حمام سباحة خارجي, حديقة. مهما كانت دواعي سفرك فإن فندق باي فيلدج تروبيكال ريتريت هو خيار ممتاز لإقامتك في كيرنز. يرجى ملاحظة أن الفندق يوفر استخدام الإنترنت اللاسلكي لمدة 5 ساعات لكل الحجوزات. 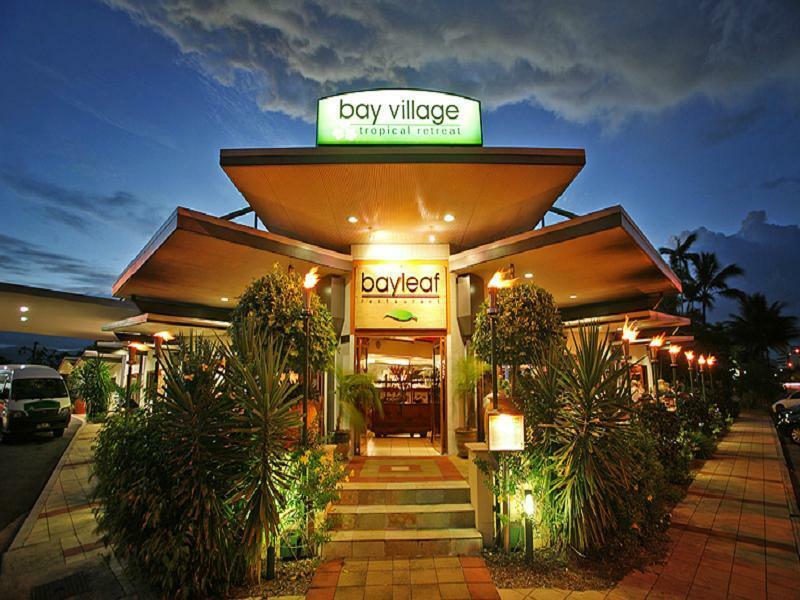 If you want to upgrade from backpacker type hotels/motels in Cairns, this is your choice. A few more dollars will buy you the luxury you are looking for. The only thing is that the location. A bit far from the downtown area. But I would still stay in this hotel again if I visit the town. The hotel is good, the rooms are nice and clean. Not above and beyond but very good. What is really good is the staff - from the reception to the cleaning staff - all of them are very friendly and especially supportive. I got in an accident in cairns and needed a place to stay, this was closest to the hospital but was perfect, had a lovely little garden area to spend time in while I healed, but the room smells strongly of moth balls. Other than that, the furniture was really nice and the kitchenette was so helpful. Pool looked lovely but I wasn't able to go in. Staff were helpful and accommodating of my situation, breakfast was nice. Our stay was excellent! Arrived in cairns at 10.30am. reached hotel @ 11am and we were allowed to check in immediately! The rooms were bit smelly (may be bcoz of the heat or the chemicals used to clean the room! this is the one that needs to be looked into by the hotel!). The beds were comfortable! wish they were of queen size in all rooms! The hotel pool was excellent! kids enjoyed a lot! Attentive and helpful staff. The rooms were ok -- there was a kitchen, ref, microwave and other utensils. There was a 5-hour internet provided. The restroom was spacious, and handsoaps/shampoo/conditioner/body wash/shaving cream/lotions were provided in large pump refillable containers. It would be great if there would be areas where clothes could be hung though, considering that it is a beach/resort town. We made do with the hangers provided. The pool was nice, and the restaurant also had good service. The location was a bit of a walk to the Esplanade and Reef Terminal, probably 15-30 minute walk. The shortest route would be through the boardwalk. The room was so clean that a minor spill of water on the floor was wiped up with a white towel with no stains, locals we chatted to all agred that the Restraurant was a must do and although we did not go there to eat it really does smell and lok great with affordable pricing.All in all it was very comfortable clean and well positioned, we would stay again. We could not be happier with this hotel. We got upgraded to a 2-bedroom unit and the unit was so roomy! The amenities esp the salt chlorinated swimming pool was divine1. Great location of this hotel and the Balinese restaurant is second to none. Staff were absolutely fabulous, friendly and helpful!! Our stay was wonderful. Will definitely come back and stay longer next time !!! The room was perfect, as well as the pool. But it takes about 15 minutes to get to the city. There are no restaurants close to the hotel except for the balinese one that is located in the hotel. A convenience store is round the corner. we stayed for 3 nights and were surprised at the level of cleanliness and the quality of staff. every one here smiles which reflects their pride. the apartments are modern, bright and clean. the location is a short walk to waterfront and eateries. with agoda savings this resort is a must. Bay Village Tropical Retreat and Apartments offers great service by friendly staff. Overall, the room was clean, albeit we found the windows slightly dusty. We are very meticulous when it comes to linen used in hotels, and this property did not disappoint us. One of the best things about Bay Village is its location. We parked the car in a covered area in the property and strolled along the Esplanade. Shops, restaurants, pubs and even the night market are within walking distance! In this review, we would like to commend Jonathan (Housekeeping). He was the friendliest and most helpful person we met at Bay Village. We'd recommend this property to family and friends! Our 1 bedroom room had all the cooking facilities we needed. Room for our little one to play. The staff were lovely. The restaurant downstairs was sensational. The pool was a bit cool for Winter. Furnishings a little dated but very clean and everything worked as ot should. I definitely recommend. Nice hotel reasonably priced and within 20 minutes walking distance of Cairns. Very clean, restaurant attached which is well they of locally. My daughter and I had a family. Room which was really spacious with a dining table and chairs so we could eat our take ins at it. ! The 3 bedroom apartment was comfy , clean and had aircon in every room. Even though we were across the road from main reception it was okay as road was not to busy to cross and we also had our own pool on our side of the road. Only down side was beds and pillows could be updated. Would stay here again. Very nice stay. On request after the 1st night, staff gave us a quiet room away from the street and said "we want you to be happy here". That was great. The Agoda booking site mentioned airport pick-up and gave a space to put flight number and arrival time but the hotel has not offered airport pick-up for some years. So, to avoid confusion, it's best to remove that prompt from the booking site. First class room, helpful staff and superb garden setting. My stay was really enjoyable, the hotel is set in wonderful tropical gardens and has a lovely pool. I arrived with my daughter, who wasnt staying there with me but they gave me an immediate upgrade to a two bedroom apartment, which was superb. The staff were really helpful and were able to arrange any tours etc we required. The restaurant was excellent offering superb breakfasts, lunches and dinners in lovely surroundings. All in all it couldnt have been better. I thoroughly enjoyed my stay here. Despite it's position opposite the hospital, I found the complex quiet, with very little interference from outside noise. The staff were friendly and accommodating. My apartment was spacious and quiet. The price of my stay was very reasonable. I would happily recommend the hotel and would not hesitate to stay again. Many thanks, Jan.
Close to town centre, walking distance. Big room and clean room. We stayed 3 nights in a 2 bed apartment which was very spacious and clean with own cooking facilities. Was across the road from main motel but had its own swimming pool for the apartments which was good. We then stayed 2 nights in a family room in the motel and the room was very spacious and again clean and tidy. The resort is walking distance to town (10 minutes) so very handy. Restaurant attached is very nice. Would stay here again. we had a power outage on the 1st of Januray which lasted the whole night!!!! this was the only down side to our stay... the power outage was for about 8 hours, maybe Bay Village should invest in a genset.